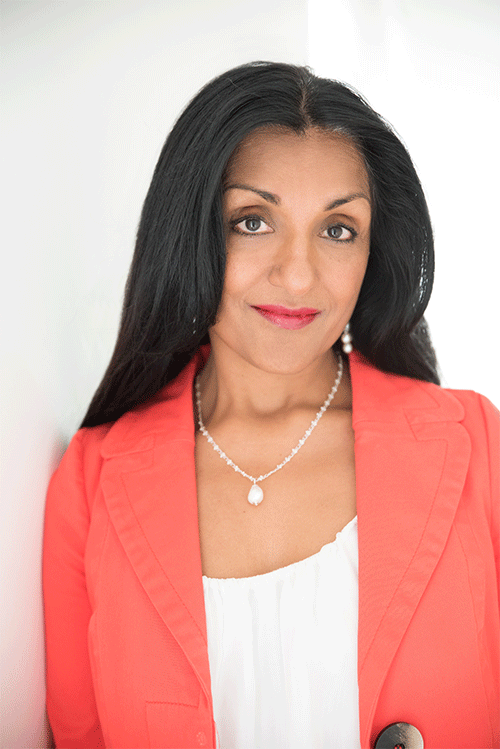 Biography: Geeta Sidhu-Robb is an author, inspirational speaker, CEO and Founder of Nosh Detox. Her frequent appearance on Radio and National TV has given her a strong media profile as an expert on Natural Health & Lifestyle Solutions. Geeta gave up her career as a corporate lawyer to set up her own business, Nosh Detox in 2008, after her son’s severe food allergies, eczema, asthma and anaphylaxis as a baby led her to retrain as a Raw Chef and functional nutritionist. Geeta is a health coach with an holistic understanding of how nutrition affects body and mind. She has applied this passion to improve performance to helping over 15,0000 clients treat everything from weight loss & digestive issues, to coping with stress, managing performance and low self-esteem. Recently this expanded into Wellness in Corporate Programmes with speaking engagements at Warner Music, Morgan Stanley, Barclays, State Street and the House of Commons. Geeta has taken home Entrepreneur and Business Women of the Year awards in 2010, 2011 and 2014 and 13 other awards for the business. Her strong skills in business development and her entrepreneurial acumen have seen Nosh grow from a start-up to a multi-award winning wellness empire. July of 2016 saw Geeta launch the very first Nosh Infusion Clinic in the exclusive Harvey Nichols, London.